December 22, 2015 — Cod have been disappearing from the waters between Massachusetts and Maine, and shrimp populations are so depleted that the commercial shrimp season in the Gulf of Maine has been cancelled for the last three years. At the same time, lobster are flourishing — alongside a host of species that have never before thrived in New England waters. Why the wild ups and downs? One reason is that nearby waters are warming much faster than the rest of the ocean, making the environment newly unbearable for some longtime residents — and newly appealing for others. But overfishing has played a role as well, disrupting the balance of the watery ecosystem in unexpected ways. It’s hard to predict where all this is headed, whether for individual species or local fishing communities. But it needn’t be a story of doom and gloom. These undersea changes may well dampen the prospects of the cod industry, but they will also bring new opportunities. What’s happening in nearby waters? Temperatures in the Gulf of Maine have been increasing faster than just about every other blue spot on the planet. According to a recent report in Science, Maine’s waters are in the top 0.1 percent when it comes to rapid warming. While that team focused on the waters to the east and north of Massachusetts, that superwarm area they reported on actually extends significantly south, surrounding the Bay State. Through conducting oversight of the Obama Administration’s actions and through key marine resource management reforms, Subcommittee Republicans remain dedicated to preserving American’s access to our domestic offshore waters. In June, the House of Representatives passed H.R. 1335, the “Strengthening Fishing Communities and Increasing Flexibility in Fisheries Management Act.” This bill, introduced by Rep. Don Young (AK-At Large), makes key reforms to the Magnuson- Stevens Act – the primary law regulating federal fisheries management. H.R. 1335 increases transparency in federal fisheries agency decisions, empowers regional decision-making, and improves recreational fishing data and access through requiring state data into federal assessments. The bill also ensures access to marine resources by affirming that the Magnuson-Stevens Act shall remain the ultimate authority over federal fisheries management even within the bounds of a Marine National Monument or Marine Sanctuary. Hundreds of organizations support the bill, which is pending in the Senate. Gaps in fisheries science and management decisions are not the only issues impacting access to marine resources. This past year alone, the Administration has entertained a series of executive actions and agency rules that inhibit fishing access, often without even securing the support of local entities or states. This was apparent in June when the National Park Service released the final General Management Plan for Biscayne National Park in Florida, which included 10,502 acres in state waters that would be closed to all commercial and recreational fishing – despite opposition from the State of Florida and others. In August, the House Committees on Natural Resources and Small Business held a joint oversight field hearing in Homestead, Florida to review the plan. Highlighted in this hearing was H.R. 3310, a bill introduced by Rep. Ileana Ros-Lehtinen (FL- 27) that aims to avoid future situations like the one in Biscayne National Park by preserving a state’s right to manage the lands and waters within their jurisdiction. The text of H.R. 3310 was incorporated into H.R. 2406 in October by an amendment offered by Rep. Amata Radewagen (American Samoa). 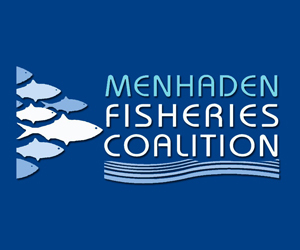 A number of fisheries organizations supported the amendment and H.R. 3310. You can find more information about this amendment and the markup here. The Administration is considering additional ideas to close off further access. In September, the Subcommittee held an oversight hearing on a proposal being considered by the Administration to create the first Marine National Monument in the Atlantic, off of the coast of Cape Cod, Massachusetts. During this hearing, Subcommittee members heard of a September 15 Town Hall meeting hosted by the National Oceanic and Atmospheric Administration (NOAA), which one witness characterized as a “charade,” as so few details regarding Representatives Lee Zeldin and Tom the proposal had been made public at that time. Full Committee Chairman Bishop and Subcommittee Chairman Fleming and others subsequently sent a letter to NOAA and the Council on Environmental Quality echoing bipartisan requests for additional information regarding the proposal as well as additional opportunities for local input. Three months after the Town Hall meeting, the Administration has yet to release any additional information, including coordinates or maps, of the designation under consideration. The economic impacts of the potential Marine National Monument were also discussed at a December oversight field hearing in Long Island, New York, where the Natural Resources Committee and Rep. Lee Zeldin (NY-01) heard firsthand about the impacts of federal decision-making on public access and regional economies. This hearing highlighted the crucial reforms to federal fisheries management made by H.R. 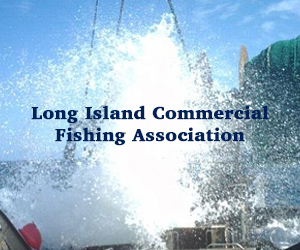 1335 and the assurances that these provisions would give to the recreational and commercial fishing industries. Witnesses from the local commercial, recreational, and charter-for-hire industries expressed their support for reforms within the bill that increase transparency in federal decision-making and require greater incorporation of state and regional input. The Subcommittee has also held hearings on specific bills aimed at regional fisheries issues in 2015. 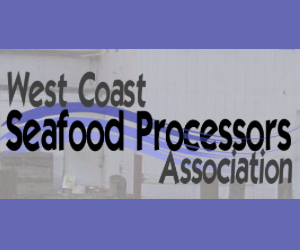 During a July 23 legislative hearing, the Subcommittee heard from fishermen, tribes, and the Administration about two necessary bills introduced by Rep. Jamie Herrera Beutler (WA-3) to preserve fishing access on the west coast: H.R. 564, the Endangered Salmon and Fisheries Predation Prevention Act of 2015, and H.R. 2168, the Dungeness Crab Management Act. 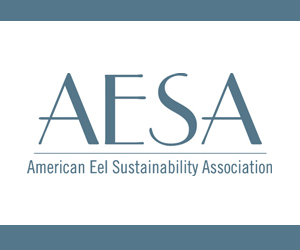 To assist the recovery of Endangered Species Act (ESA) listed salmon in the Columbia River watershed and to protect tribal ceremonial, subsistence and commercial fisheries, H.R. 564 authorizes the U.S. Secretary of Commerce to issue expedited permits authorizing states and tribes to lethally take non-ESA listed sea lions under certain conditions. Fishermen and tribal leaders testified that this additional authority was necessary as sea lions have inhabited the lower Columbia River and have been ravaging ESA listed species of chinook, steelhead, coho, and chum salmon. During this hearing, the Subcommittee also heard unanimous support from the panel of witnesses for H.R. 2168, a bill to make permanent the long standing tri-state (Washington, Oregon and California) Dungeness crab management authority in place since 1980. H.R. 2168 passed the House of Representatives on October 6 and is pending in the Senate. The Subcommittee also held a hearing on H.R. 3094. As introduced by Rep. Garret Graves (LA-06) and others, the bill transfers the management authority of the red snapper fishery in federal waters from NOAA to a new authority comprised of a representative of each of the five Gulf of Mexico States in response to concerns over federal accountability, decisionmaking and access. The Subcommittee heard from a wide array of witnesses representing different user groups, including States, recreational industry, commercial and charter fishermen, and restaurants. December 16, 2015 (AP) — The Gulf of Maine Research Institute in Portland will get $1.3 million in federal money to investigate fishing communities’ vulnerability to climate change in the Northeast. The National Oceanic and Atmospheric Administration announced the award Tuesday. Researchers from the institute will examine ecological, social and economic impacts of climate change on fishing communities. 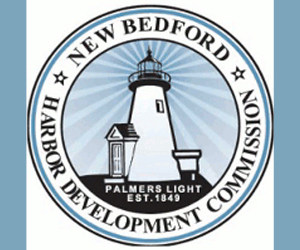 The New Bedford Fishing Heritage Center is pleased to announce its receipt of a $12,000 National Endowment for the Humanities (NEH) Cultural Heritage Grant. The grant will support a project to digitize the cultural heritage of New Bedford’s fishing community. The project is a collaboration involving the New Bedford Fishing Heritage Center (NBFHC), University Archives and Special Collections at the University of Massachusetts Boston, MIT Sea Grant, the New Bedford Public Library, and New Bedford Whaling National Historical Park. Commercial fishing is often a family activity with skills and knowledge passed from one generation to the next. Consequently, much of this history resides in the photo albums, documents, and artifacts of fishing families. This project will digitize these materials through a day-long public event (tentatively slated for May) in combination with “house calls” to digitally document materials from individuals who are unable to attend the event. The project will be bookended by a variety of public programs which will serve to inspire community participation, evoke memories, and provide an interpretive framework for materials that are brought forward. Digitizing these materials, making them publicly available, and using them to tell the story of the fishing community will create a lasting legacy for families who have spent generations working the water in what is one of the nation’s oldest occupations. “We are thrilled to receive this funding which will further our efforts to document and preserve the rich heritage of New Bedford’s fishing community. We look forward to engaging active and retired fishermen, shoreside workers, and their families in this project.” (Laura Orleans, Executive Director). Following the digitization event, UMass Boston will process images and metadata and will provide storage and public access through the University’s online repository. These materials will be included in the Digital Commonwealth and Digital Public Library of America. In addition to UMass Boston’s online repository, the resulting digital collection will be publicly archived as part of digital collections at the New Bedford Public Library, and the Massachusetts Public Library Digital Initiative, and shared as part of digital exhibits on the NBFHC website (currently under development). Those who participate by sharing their photographs, documents, or artifacts will be given a USB drive containing the scanned images of their materials. Can the net transform the world’s fishing industries? November 30, 2015 — Local fishing communities in Indonesia are beset by a multitude of connected challenges, from illegal fishing to declining fish populations to their own personal safety in the country’s turbulent seas. But a New York based telecoms company called Tone believes mobile network technology can solve these problems by getting fishermen in remote communities connected to the Internet through an initiative called mFish. Scaled up, they believe their model could address the problem of unsustainable and illegal fishing globally, as well as being applied in many other contexts. “What we’re trying to do is bridge the digital divide,” says Tone’s Chief Marketing Officer Roald Van Wyk. “People assume technology equals connectivity, but a smartphone is no use if you can’t afford the data.” According to Tone, mobile broadband penetration in the developing world is still just 21%, indicating a huge untapped market which they’re hoping to help bring online. Tone’s business model is to work with local partners to deliver a range of affordable data plans in countries where far fewer people are locked into long term contracts with mobile carriers – what’s known as ‘unbundling.’ The idea is that consumers get access to various content packages via channels on the Tone platform, some of which are co-branded with local companies to make them affordable. Tone will reinvest 20% of profits into social and environmental initiatives through its foundation. November 27, 2015 — Managing the decline in New England’s commercial fishery has long been a delicate dance among fishermen, regulators and scientists. It doesn’t always work smoothly. Fishermen question the validity of the science, saying that they see more fish than the estimates would indicate. Regulators are influenced by members of Congress, who represent fishing communities, not fish, and are concerned with the communities’ economic survival. Scientists say that they are doing the best they can with the data available, but what they can see paints a much darker picture than what the fishermen report. Fortunately, there may be a way to produce data that everyone can be confident in: electronic monitoring. Currently, professional monitors go out on fishing boats about 20 percent of the time, cataloging what the boats pull up in their nets and what they throw overboard. The information they bring back is valuable, but there are problems with the system. The fishermen have to pay for the live monitors, and they are expensive. That’s especially true for boats leaving from rural areas, where the captain has to pay the travel expenses and accommodations for a monitor who is not locally based. November 20, 2015 — Alaska is our nation’s seafood powerhouse. With nine of our country’s top twenty fishing ports by volume, we understand the vital role our seafood industry has played in our communities in the past, how important it is now, and how central the industry will be in the future. Protecting and enhancing Alaska’s fisheries is one of the top priorities of our delegation. That’s why we were particularly pleased to have passed bipartisan legislation to help protect and enhance our fishing industry. H.R. 477, the Illegal, Unregulated and Underreported (IUU) Fishing Enforcement Act of 2015, increases enforcement capabilities for U.S. authorities to combat illegal fishing and protect fisheries off the coast of Alaska, and around the world. It was signed into law on November 5, 2015. At issue is how illegal, unreported, and unregulated fishing, or “pirate” fishing, is hurting our economy, our fishing communities, our healthy seafood stocks, and our sustainable oceans. Our country’s fishermen have long been subject to sustainable management-based rules and regulations to ensure the long-term vitality of our species; pirate fishermen are not. These rogue vessels raid our oceans wherever, whenever, and however they please. Globally, legal fishing operations lose an estimated $10 to $23 billion a year to pirate fishing. Here at home, the Alaska King Crab fishery alone is estimated to have lost more than $550 million in the past 14 years. November 16, 2015 — NEW BEDFORD, Mass. — A Washington, D.C.-based nonprofit group with strong New Bedford ties is creating a national coalition of commercial fishing interests to boost outreach and communication for the industry, which supporters claim often can be overmatched by unified environmental groups that promote competing interests. The Saving Seafood release said the nonprofit, formed in 2009, is conducting a membership drive for its new National Coalition of Fishing Communities (NCFC). Vanasse said the coalition, so far, has about 60 members across the country, including New Bedford’s Harbor Development Commission. The NCFC will formally launch in Washington in January, during the next U.S. Conference of Mayors event. Vanasse said New Bedford Mayor Mitchell will be chairman of the coalition’s mayors’ group, reaching out to municipal leaders in Seattle, Honolulu, Atlantic City and other cities with strong commercial fishing ties. 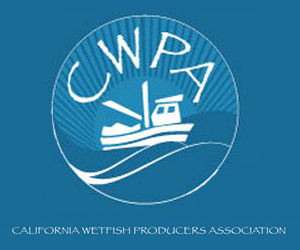 Coalition members already include commercial fishing associations from Hawaii, Oregon, North Carolina, New Jersey and more. “I believe there needs to be a stronger voice for fishing communities in the halls of Congress,” Mitchell said. 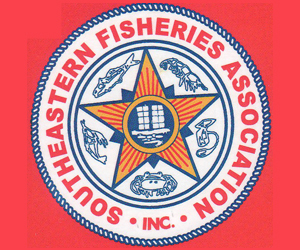 November 16, 2015 — A new coalition of seafood industry interests is being assembled to help tell the commercial fishing industry story nationally, regionally and locally without being drowned out by the larger reach of well-funded special interest groups, organizers said Monday. The coalition boasts a familiar name. Former Gloucester Harbor Planning Director Sarah Garcia is the director of outreach and membership for the Washington D.C.-based coalition. The Coalition is made up of different types of communities. 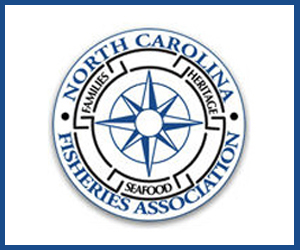 In addition to municipalities with economic, social, and cultural ties to the fishing industry, NCFC includes associations who represent and are supported directly by working commercial fishing families; businesses who are involved in the harvesting, processing, distributing, marketing, and serving of seafood; and individuals in fishing communities across the country who see first-hand the necessity of local knowledge informing policy.